Also unique is that Malawi is the homeplace of fossils from homo sapiens dating back to around 8000 BC. Many travelers head to the UNESCO World Heritage site at Lake Malawi, which separates Malawi from Mozambique and Tanzania and offers kayaking, paddle-boarding, or canoeing opportunities. However, I wouldn't swim here!!! Country Information: The capital of Malawi is Lilongwe and the country’s population is about 20 million. The official language in Malawi is English comma however comma another language called Chichewa (also called Chewa) is also spoken here. The primary religions in Malawi are Christianity and Sunni Islam. The time zone is 6 hours ahead of EST. For a fantastic hiking experience, take a trek for 3 to 5 days in Mount Mulanje. 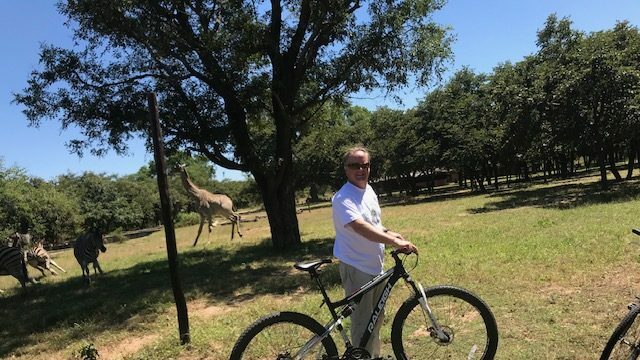 The views are absolutely incredible, and a guided tour can take care of food and lodging accommodations as well as share knowledge about Malawi people, culture, and politics. Bird watchers will delight in knowing that the city of Zomba is known to have many bird species nearby, including the endangered white-winged apalis. 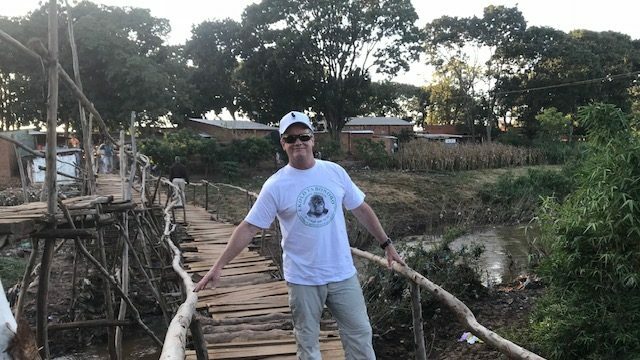 Jim’s Perspectives: Malawi was one of the more pleasant countries I’ve visited. It’s a tiny country, roughly the size of Georgia, and it’s one of the friendliest and hospitable places in Africa. It was almost unsettling how people will speak freely with you. For example, in the elevator, people will just say hello and ask how you are doing. This breaks “elevator protocol” in all other African countries. Another example: as I’m writing this on the plane to Joburg, a man sits down next to me, looks me squarely in the eyes, and says, “Good Afternoon”. Even for an extrovert like me … it was strange to be spoken to on an airplane. The capital of Malawi is Lilongwe (LIL-ONG-WEA), which is more like a rural European village, than an African city (minus the shanty housing). Its wide streets, with people walking and bike riding about give it a unique charm. If you get the chance take a bike taxi through the city, and do not miss the market … or walking across the stick bridge. This is an agricultural-based economy, with many people growing tobacco and corn as exports. There are huge fields of export crops all over the country … good for them! The fertile land here grows all types of fruits and vegetables, as well as rice. Lake Malawi, about 2.5 hours from the capital, provides huge amounts of fish (tilapia), so this is a food independent country (again, good for them!). Visiting Lake Malawi is a must … it’s really beautiful and the trip there provides a glimpse of the simple, rural lives that people lead in Malawi … in brick and thatch homes. However DO NOT SWIM IN LAKE MALAWI! If you do … you’ll regret it … as there are parasites in the water that will make you itch! Do not risk it! Visit a coffin shop. Why in the world should you do this? Because a lot of people are dying here of infectious diseases such as TB, meningitis, malaria and AIDS. Dying is a big business here. Visiting the UNC Project. 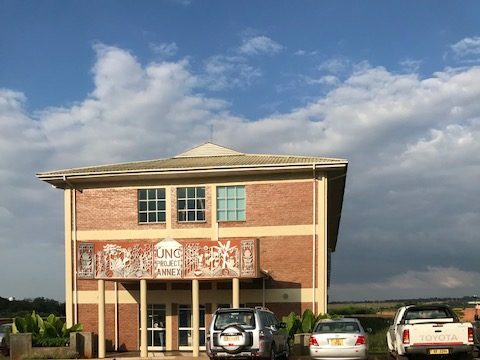 The University of North Carolina has partnered with Malawi since 1991, doing research for infectious and non-infectious diseases. Significant protocol have come out of this partnership, including protecting unborn children from contracting AIDS from their infected mothers, and ground-breaking testing for a malaria vaccine. There are currently 10 full-time professors and surgeons working here, researching, testing and providing care. Touring the tobacco warehouses, where during season (April-July) they auction off 10,000 bales per day. In total, in Malawi, they export 146 million kilos of tobacco around the world. The farmers bring their crops to this market, it’s graded by inspectors, and then 7 people bid on it. 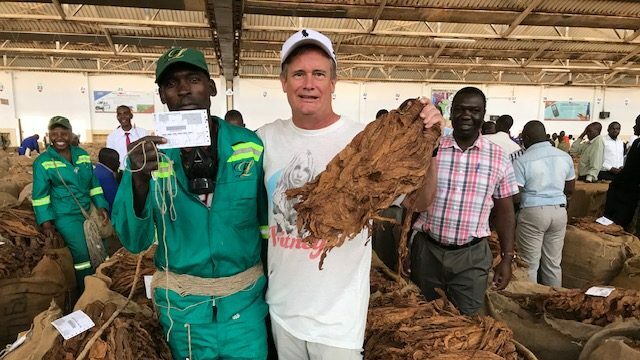 I served as one of the “runners” taking the tobacco (that had just arrived) to the conveyor belt! The Umodzi Park Hotel, in Lilongwe, was the best hotel in Malawi. Nice, spacious room, a fabulous restaurant and breakfast! Top notch choice!